NPR's signature morning show, with news updates from the BBC at the top of each hour. Also, a local daily almanac at 5:49 and 8:49, what's for lunch in the San Francisco public schools at 6:49 (during the school year), and daily commentary from Jim Hightower at 7:49. Enjoy the Crosscurrents Morning Report from KALW News Monday through Thursday at 6:51 & 8:51. Most of the roads in Florida's Bay County are now impassable. There's no electricity, no sewer, no gasoline, very little cell service, and a boil water advisory . 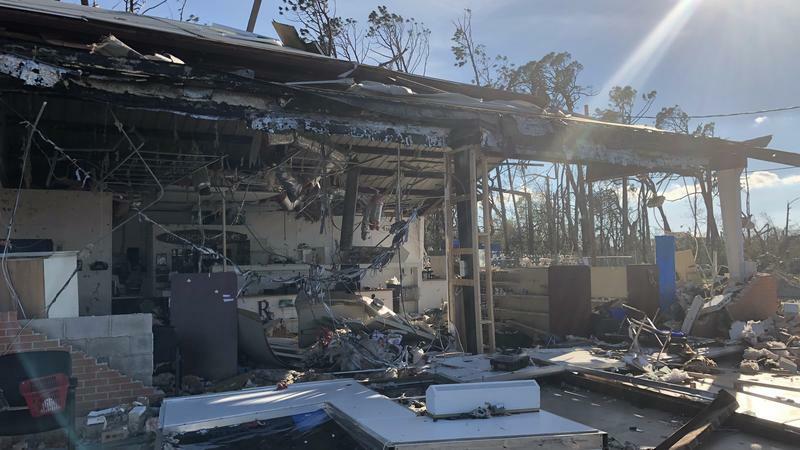 "This whole town's destroyed," after Hurricane Michael, says Ryan Smith, a mechanic in Lynn Haven, on the north side of Panama City, Fla.
Floridians who rode out Hurricane Michael are waking up to view the devastation that has been left behind. Panama City resident Vance Beu (ph) described the experience as this massive storm came through. You May Be Too Old To Trick Or Treat In Chesapeake, Va.
President Trump says he is going to work quickly to find a replacement for Nikki Haley as U.S. ambassador to the United Nations. Haley announced her departure yesterday morning. President Trump was alongside her at the White House.